After a few years of blogging using my computer, I’ve slowly moved on to using my phone to it. Since I don’t use the computer as much as before, having an app to acces my blog really comes handy. This is the first post I’m making with it and I’m still looking around it’s features. So far it seems like a nice tool to have! It’s starting to feel more summery, or maybe it’s in my head since summer vacations is near and tropical countries always have summer weather, whatever it is I think the weather is showing that summer is here. It’s all sun and shine during the day but the late afternoon brings rain and it results in a cool night! Even if it doesn’t rain it hasn’t been too hot outside so it’s a nice weather. The weather mixed with college ending soon has me feeling happy. I’m graduating this May with the official ceremony in June. There are only four projects left for me to do, one of them being the last chapter of the investigation project, which by the way my professor told me that they send the investigations to be printed out in a book. I’ve seen the books, black hard cover with golden letters, I never imagined that all of us get to have them printed like that. Makes one feel more professional as if the Master’s degree wasn’t enough! I mean, I think they will give us a copy! If not I’ll try to buy it then xD The other 3 projects are just homework. After many stressful months, I was able to pick up my hobbies again. At the beginning of March I started to post here but took a break however I’ve kept posting daily on Instagram, meaning that I need to buy more yarns ’cause I’ve been crocheting a lot! haha There are also new videos on YouTube, there are a few more that are in wait because there has been issues with our internet provider so I couldn’t upload them. I think I’ll be posting videos weekly, every Tuesday since that’s the day I posted the last video. I want to post them in a steady pattern instead of randomly uploading them. Finally, I took of the Purin layout and gave the blog a cleaner look, added links to my social media profiles and I’m currently dusting off an old Ravelry account just because I’m in the mood of linking stuff between accounts 😛 Let’s see if I learn to use it this time! After what happened yesterday (written in my previous post), I was so frustrated that I went online again and found out that other people were suspended from the site too without knowing why. Some, like me, got suspended when they didn’t have any pins or content. So, having read that there are many issues of accounts getting suspended and wanting to have everything set, I moved on to my other choice: Instagram. 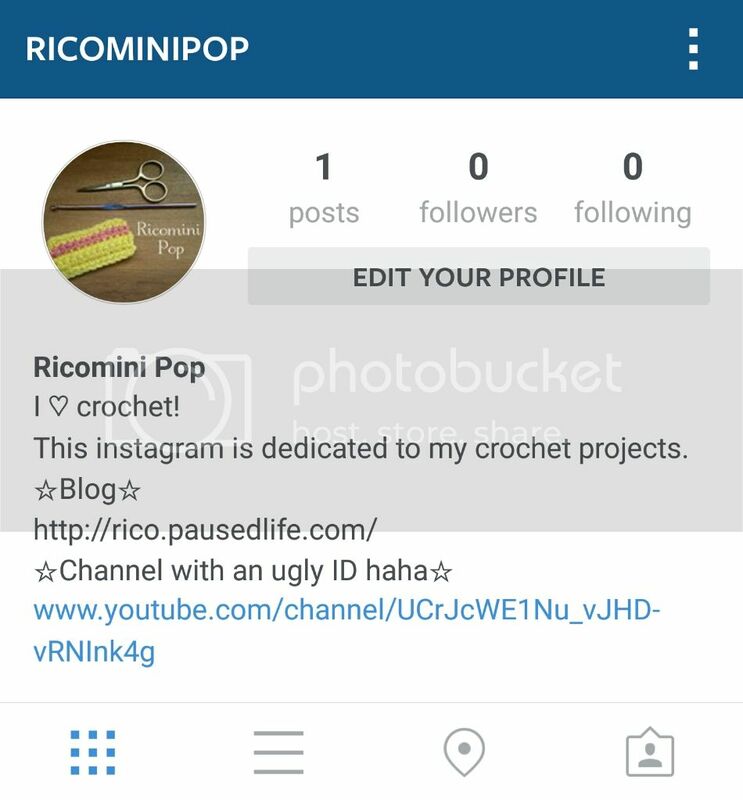 I was actually surprised to see that there are other Instagram users who post about crochet and crafts. I’m a bit old fashioned and don’t really go on social media websites (I only have a Facebook but I don’t really post that much on it) so I’m new to all of it. I do like to use chat apps since growing up I used to use MSN Messenger a lot, I kept using it until it wouldn’t let me sign in anymore because it was replaced with Skype lol …2013… I had like 2 friends left and they both used Skype to send messages to my MSN xD… But that’s another story of how I sometimes refuse changes. So far I think I’m getting the hang of it. The app needs to be downloaded in order to post, you can log in on the web browser on the phone or pc and edit your profile, and upload a profile pic but that’s as much as ine can do without the app. 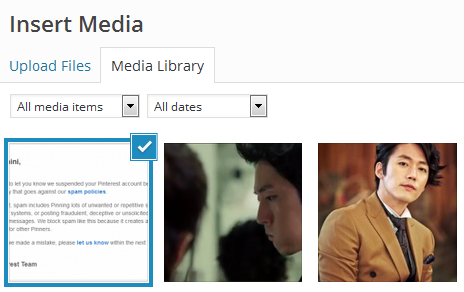 Oh and other profiles can be seen and browsed. The other reason I wanted to make a place to share my crochet is because I do take lots of pictures of it but I dont’t want this blog to turn into a crafts blog. There’s a bit of everything here and I don’t feel it will be a good idea to narrow it down to just one theme. This will be the space where it all meets and combines. I’m still in shock at how this happened… So as you guys have already seen, I’m getting back online with this whole youtube videos thing. Today I wanted to make another account online so I could get in touch with other crafters and after searching online for the best way to go I decided to make a Pinterest account. My guess is because in the name of the new board I wrote “Ricomini’s YouTube Channel” since I was planning on pinning the videos (like I read on another blog) but I can’t find anything on the link they sent me that says I can’t mention youtube like that. Maybe it falls under “unsolicited commercial messages” Idk. They did ask to click on a link if I thought they had made a mistake. 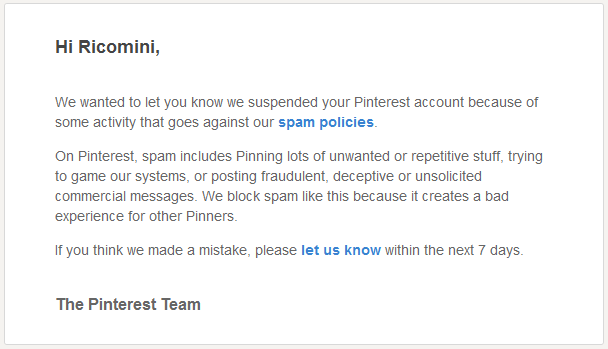 And here I was, giving Pinterest a try because I thought I might actually like it after all. This won’t help with my dislike of the site.